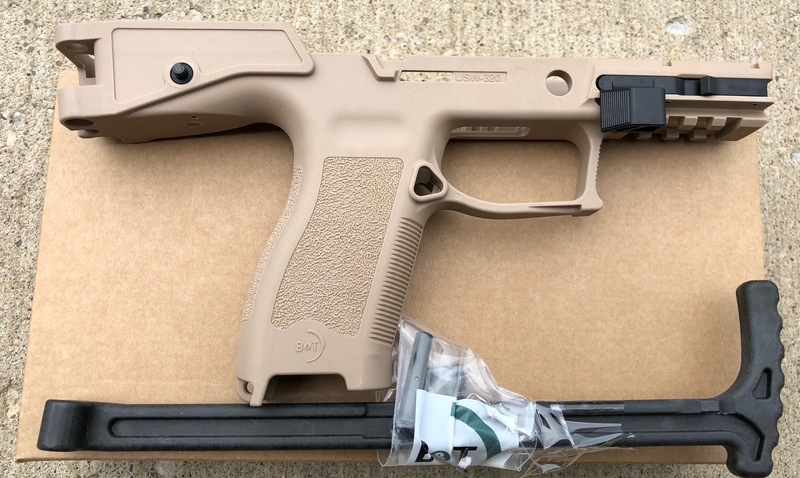 B&T USW 320 GRIP MODULE W/STOCK (FDE) For the Sig Sauer P320 full size or compact pistols. 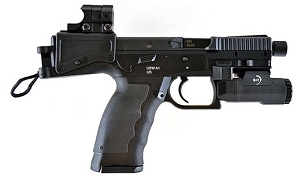 The B&T USW-320 Universal Service Weapon Grip Module converts the standard Sig Sauer P320 Pistol into the Universal Service Weapon configuration. The USW is the size of a normal duty pistol but extends the range, accuracy and effectiveness of your handgun to that of a 9mm submachine gun. It is ideal for any situation where the chance for a longer distance shot is possible. 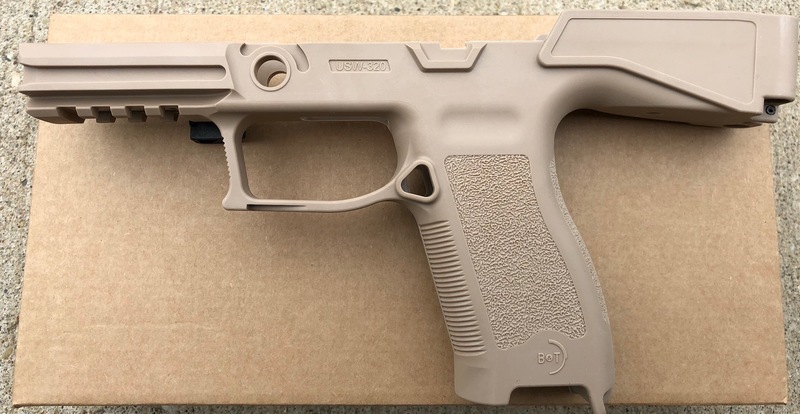 This configuration will enable the operator to effectively and accurately engage targets out to 50 yards and beyond; that is more than double the effective range of a service pistol. Distances that were thought to be impossible with a standard handgun. 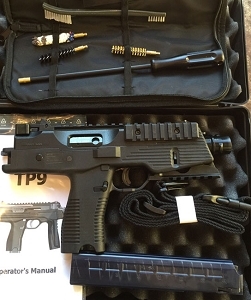 The operator just removes the trigger group and insertes this into the patented USW-320 Upgrade Chassis. There are no other modifications to the weapon; the trigger group is held in place by the take-down lever. 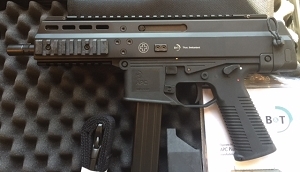 Furthermore the slide (full-size or compact) and the magazine holder are swapped to the new polymer lower. The whole transfer takes about two minutes. The USW-320 Upgrade Chassis has an integrated standard Picatinny/NAR accessory rail for a light/laser and the folding stock. 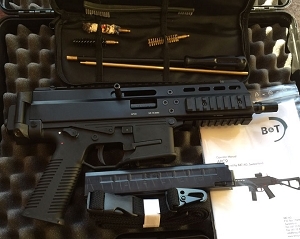 It is still ambidextrous in handling, with the ambidextrous slide catch lever and rever- sible magazine catch. 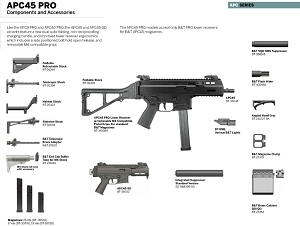 The folding stock folds onto the right side of the weapon, where the stock release is also situated. 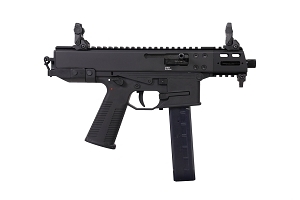 The stock can easily and safely be operated with either the left or the right hand. 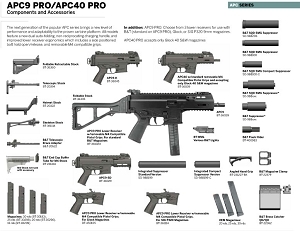 The USW-320 Upgrade Chassis accepts standard P320 magazines of 17 and 21 rounds and even any aftermarket 30-round size. 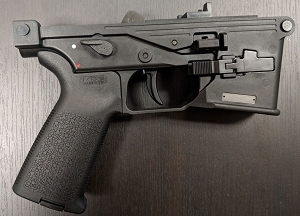 The firearmÃ¢â‚¬Ëœs serial number is on the trigger group instead of the grip module and this is what is considered a firearm in most countries, not the Upgrade Chassis. 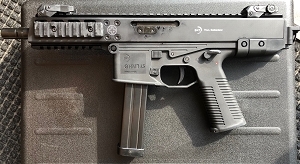 This means that the USW-320 Upgrade Chassis is not firearm and thus is not serialized and can be sold and shipped with no restrictions.